The PhotoIreland 2011 festival kicks off tomorrow and there’s a whole host of photographic events and exhibitions happening around Dublin over the coming weeks. I missed all of last year’s inaugural festival, due to being away on holidays, but thankfully they have extended this year’s one to the entire month of July so I’ll be able to catch most of it this time. I have been browsing through the programme and found many things that look like they are worth catching. One of the flagship events this year is an exhibition of photobooks curated by Martin Parr and taking place at the National Photographic Archive in Temple Bar. As well as a world-renowned photographer, Parr is a well-known collector and connoisseur of photobooks, and he presents what he regards as the best of the past decade. When previewing this exhibition last weekend the Irish Times stated that it “makes a strong case for seeing the medium as an art form in its own right”. It’s only fifty years or so since the publication of The Americans, but I suppose better late than never …. Mexican Worlds is an exhibition of the work of 25 contemporary Mexican photographers and is on at The Sebastian Guinness Gallery on Burlington Road. Mexico is a fascinating place and this looks like it’s going to provide a unique overview of the photography scene there (Mexico has a long photographic tradition). Sean Hillen has an exhibition of new work, entitled Ghost Shops, at 108-109 Middle Abbey Street (top floor). I’m not a huge fan of Hillen’s collage work but this is very different. He has been photographing disused retail outlets and doing so by capturing both the inside and outside of the space in one frame by using reflections in the glass. Another big event takes place at the Gallery Of Photography, entitled The Long View. It’s a presentation of work by a group of well-established Irish photographers who all specialize in slow, contemplative photography, often involving projects that extend over periods of years. It’s a very distinct aesthetic that has exerted considerable influence over contemporary photographic practice (both in Ireland and abroad). The exhibition features work by Paul Seawright, David Farrell, Anthony Haughey, Richard Moose, Jackie Nickerson and Donovan Wylie and should be well worth a visit. One of the great things about PhotoIreland is that as well as including work by established practitioners it opens itself up to all for proposals for events and exhibitions. This commendable policy of inclusivity distinguishes it from the”closed-shop” approach of many other festivals and means that there is a huge variety of styles of work, and consequently something for everyone to appreciate. 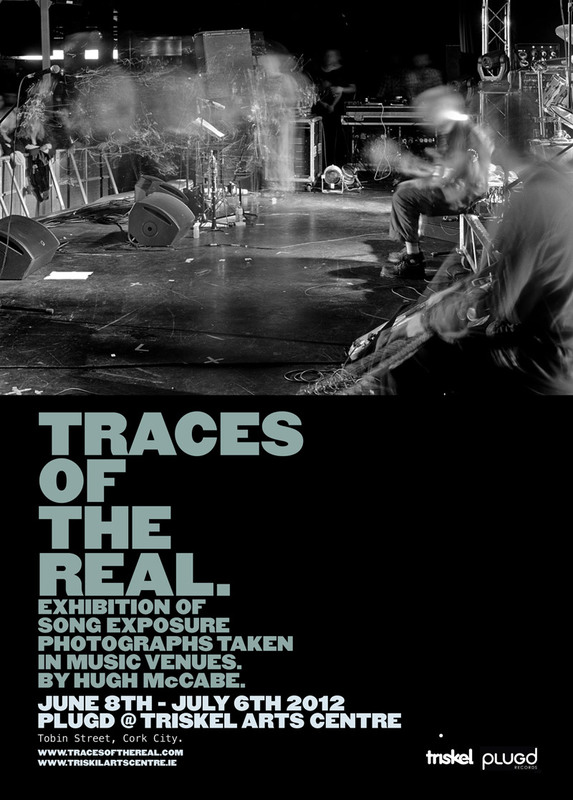 The full programme contains details of all these events and I was delighted to have my own exhibition included in this. Other ones that look good to me are The Arc Of Realism, the NCAD PDI show, Eugene Langan and the Four Floors show at MadArt. But really, that’s just the tip of the iceberg. There’s buckets of stuff here to check out. The launch of the festival takes place tonight (Thurs 30th June) at 6pm at the Sebastian Guinness Gallery which is in Connaught House, 1 Burlington Road, Dublin 4. 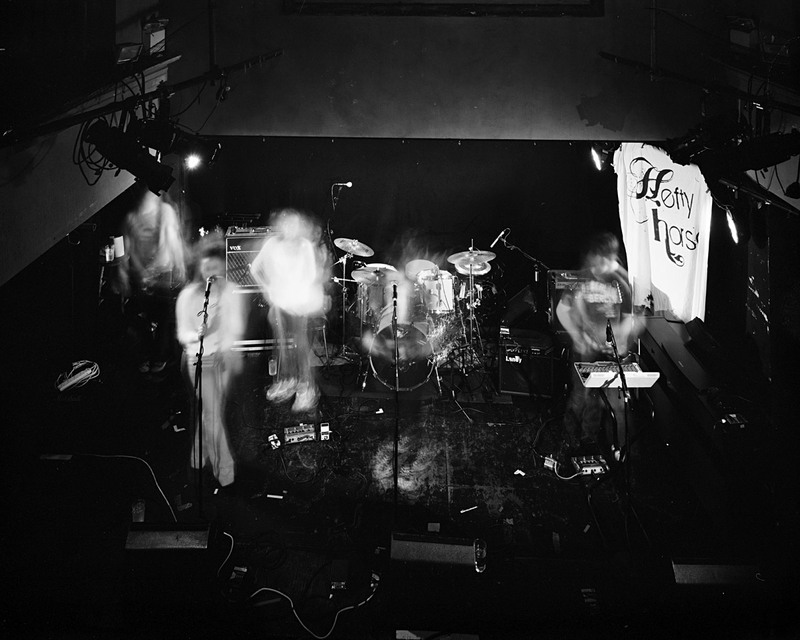 The photo at the top of this post is of a band called Cfit playing in Whelans recently at the Hefty Horse festival. It’s a 5 minute exposure at f32. They were good. You can check out what they sound like below.